PLEASE NOTE THAT THIS BOOK IS IN DUTCH! 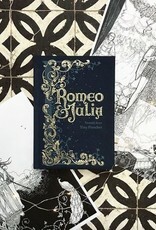 Beautiful cloth bound retelling of the classic Shakespeare story Romeo & Juliet, written by Tiny Fisscher. 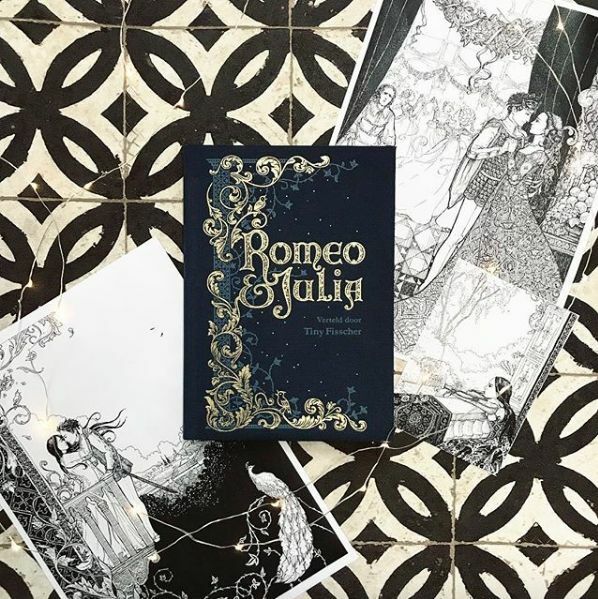 Bound in linnen, printed with gold foil and black and white illustrations by Sophie Pluim.